What does it mean for software to be truly, independently creative? Through much scientific and artistic exploration, members of the Computational Creativity research community have identified that software has to be seen to be creative, in addition to producing artefacts of high value and innovating in technique, aesthetic judgement and imaginative reasoning. If it is to have any chance of earning the description ‘creative’, software needs to show genuine skill, appreciation, imagination, learning, accountability and intentionality in creative endeavours. With the Painting Fool project – described at www.thepaintingfool.com – we are implementing software which can reasonably be described as having abilities that exhibit these behaviours. Gaining feedback from artistic communities has always been part of the process of building the Painting Fool, and criticisms of its processes and products have regularly led to changes in its code and advances in its sophistication. Our latest project, for instance, was driven by criticisms of a lack of intentionality in the software. In the You Can’t Know my Mind exhibition in Paris, 2013, we addressed this issue by having the software paint portraits driven by a simulated mood that it gained through reading newspaper articles. In a terrible mood, the software told sitters to go away, with an explanation of its reasons for doing so. In better moods, it used the sitter as a source material for portraiture designed to inform it about its own painting styles. To this end, it used machine vision methods to tell whether it had achieved an image which was appropriate to its mood, and machine learning techniques to learn to be better at this in the future. 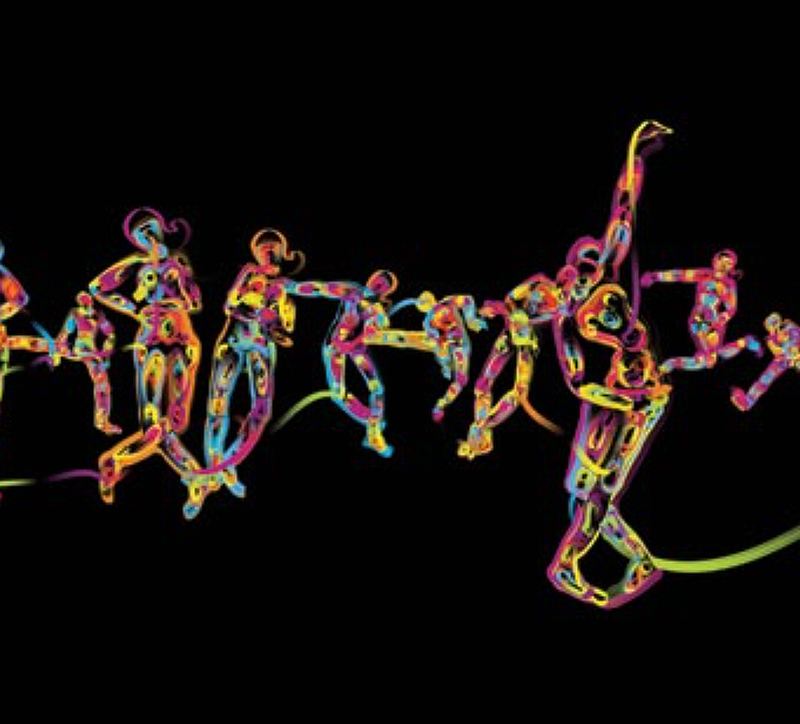 The Dancing Salesman Problem was produced by for an exhibition entitled No Photos Harmed in Paris, 2011. The name of the piece reflects the classic computer science problem where a Travelling Salesman has to drive from town to town without returning to one previously visited. Mapping towns onto colour regions and driving onto brush strokes, the Painting Fool produced these dynamic pieces with swoops representing large distances driven to find the next unvisited town. Each figure was generated with a context-free design grammar, showing that fully-automatically produced pieces can be representational rather than abstract, without requiring photographic input, hence no photos being harmed. Chair #17 is a virtual painting by a virtual artist of a 3D chair in a virtual world, exhibited in La Maison Rouge, Paris in 2011. In the Furniture series from which this comes, the Painting Fool arranged objects in a 3D world, chose lighting and vantage points and then took an image from which 2D paintings were produced. The series had a very high curation coefficient, with around 80% of the images deemed to be of exhibition quality. This particular piece was chosen for exhibition due to the surprising nature of how much it contrasted with the other pieces in the series: The Painting Fool had free rein to choose colour palettes and simulated painting techniques in this series, and this piece was unique in being greyscale and showing a painting style which can bring much poignancy to the viewing experience.